total total gauge Total number of attendees. 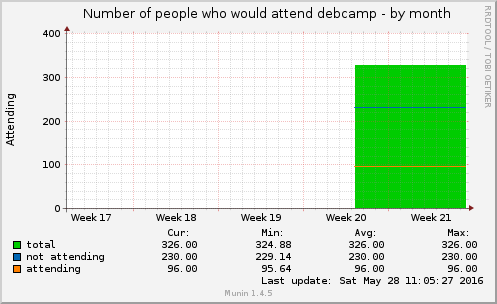 not attending not gauge Number of people not attending debcamp. attending yes gauge Number of people who would attend debcamp.